ebook PDF (29 pages, 178 KB), ePub, Kindle (mobi), etc. MongoDB is an open source NoSQL database, easily scalable and high performance. It retains some similarities with relational databases which, in my opinion, makes it a great choice for anyone who is approaching the NoSQL world. 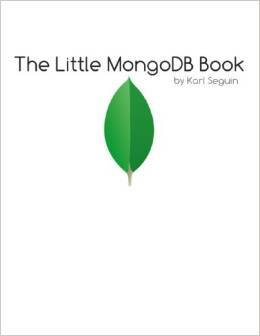 The Little Book was written precisely for this type of player, but certainly satisfy even the expert who wants to learn more about MongoDB.